Crags and castles, coastal walks and warm Welsh hospitality: Wales is compact yet filled with beauty and adventure, be it in its towns and cities, ancient history or its gloriously green hills. The awesome isle of Anglesey, home to the Duke and Duchess of Cambridge, is widely considered to be the true heart of North Wales while Snowdonia and its revered National Park (home to Snowdon, Wales’s highest peak), boasts epic hiking opportunities. Further south, cities like Swansea and Newport, while not exactly tourist areas, are part of “real” Wales and just a stone’s throw from the surf and sands of the Gower Peninsular. Cardiff, the country’s cosmopolitan capital, abounds with urban pleasures. Meanwhile, countless castles, museums and ancient sites sit within Wales’s historic cities and their environs. 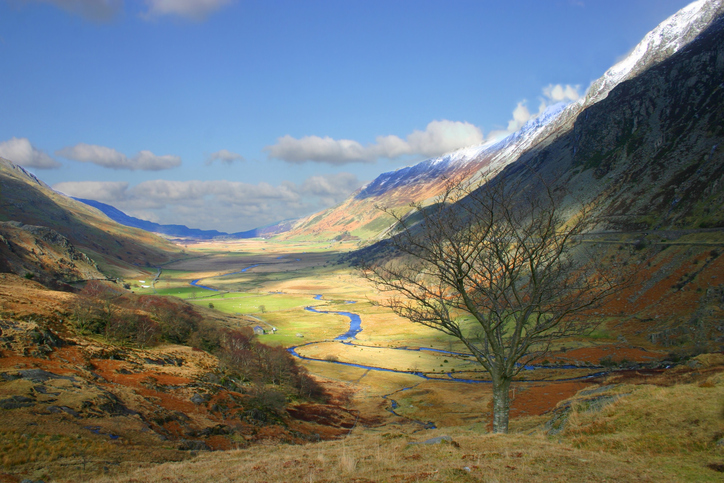 Wales’s highest mountain is the place to take in absolutely spectacular mountain views. 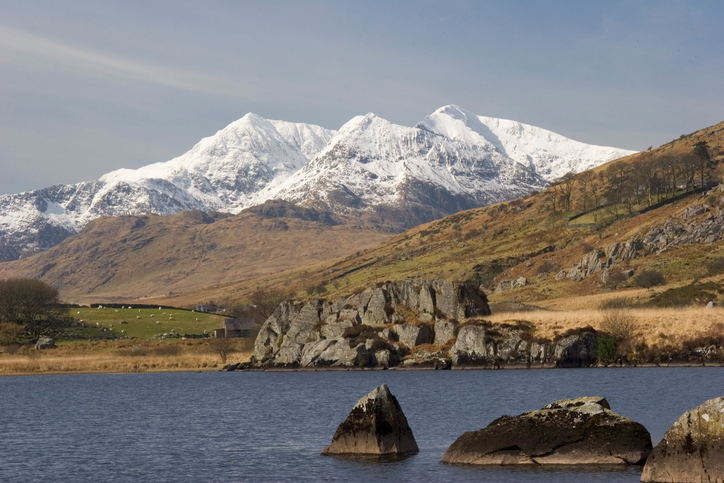 Located in the awe-inspiring Snowdonia National Park, at 1,085 metres, Snowdon is also the UK’s highest peak after the Scottish Highlands and a favourite with adventurous hikers. If you prefer to take things a little more sedately, the Ffestiniog Railway takes you through Snowdonia National Park’s glorious countryside, while the Snowdon Mountain Railway climbs right up to the summit of Snowdon without you having to take a step. Off northwest Wales, across the Menai Strait lies the island of Anglesey, notable for its vast stretches of wild coastline and home to the UK’s longest place name: Llanfairpwllgwyngyllgogerychwyrndrobwllllantysiliogogogoch, otherwise more simply known as Llanfair PG. 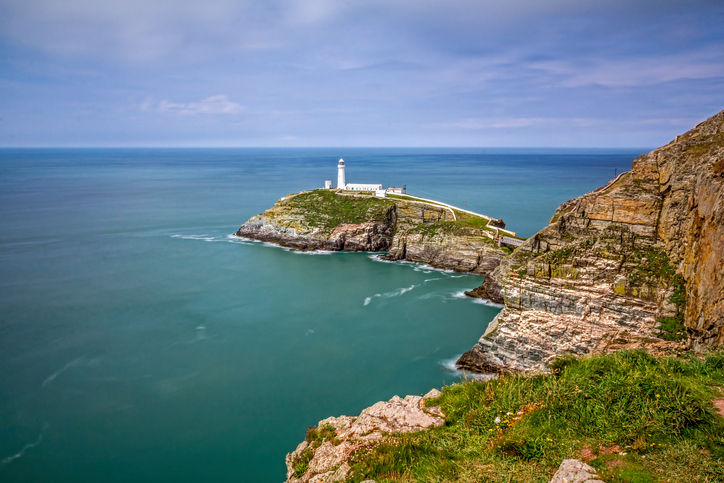 Anglesey boasts striking castles, quaint old harbours, museums and galleries; that’s in addition to its local culture, wild nature trails, beaches and water sports – there’s plenty here to keep you occupied for a week in itself. This charming seaside resort in North Wales, popular since the 19th century and dubbed the “Queen of the Welsh Resorts”, is where a wide, sweeping bay looks out over the Irish Sea. The limestone summits of Great Orme and Little Orme make up the incredible vista. 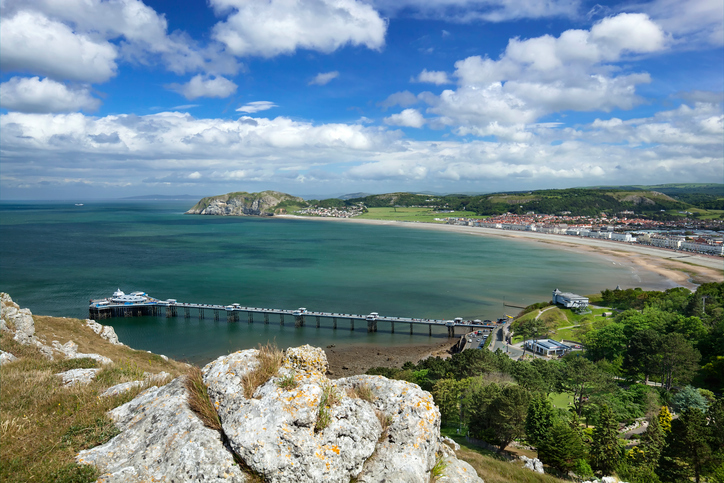 Llandudno boasts traditional British seaside charm, along with its stately Victorian architecture along the seafront. Here you’ll find the longest pier in Wales with its café, a bar, amusement arcades and fairground rides, in addition to shops and kiosks. Professor Codman’s summertime Punch & Judy shows are popular with the kids on the promenade near the pier entrance. 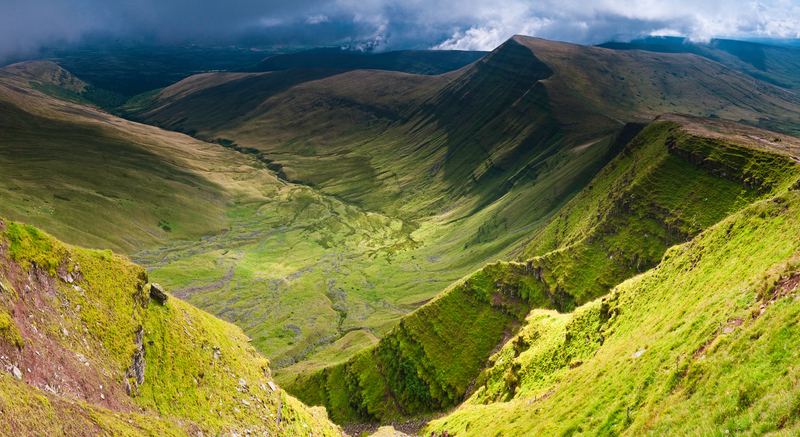 The grassy, heather-clad mountains of the Brecon Beacons National Park are some of South Wales’s favourite places for fresh air. Hikers and mountain-bikers are in their element here and, being officially recognised as a Dark Sky Reserve, it’s great for star-gazing too. Hikers head for Pen y Fan and Corn Du, the two highest mountains in southern Britain. And if the highest mountains aren’t enough, you can see the highest waterfall too, at Henrhyd Falls which plunges into the wooded gorge of Nant Llech. The National Trust offers a wealth of information on walking in the Brecon Beacons. Sixty years since becoming the UK’s first area of outstanding natural beauty, this breath-taking stretch of land is still one of Wales’ best treasures. Just a short drive from Swansea, the Gower Peninsula offers a wealth of wild moorlands, pretty coves, jagged cliffs and strong surf. 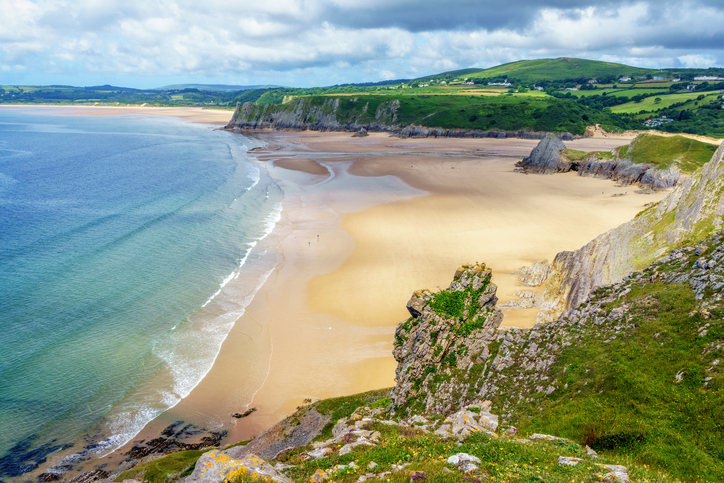 Head to sandy Llangennith or the vast Rhossili Beach – often voted one of the UK’s best – for seemingly endless stretches of golden sands, wonderful waters and surfing lessons. Some of the most beautiful sections of the Wales Coast Path run along the Gower coast so grab your walking boots and get ready for a spectacular walks. But it’s not all about the sea – you’ll also encounter lush woodlands and stunning countryside along the way. 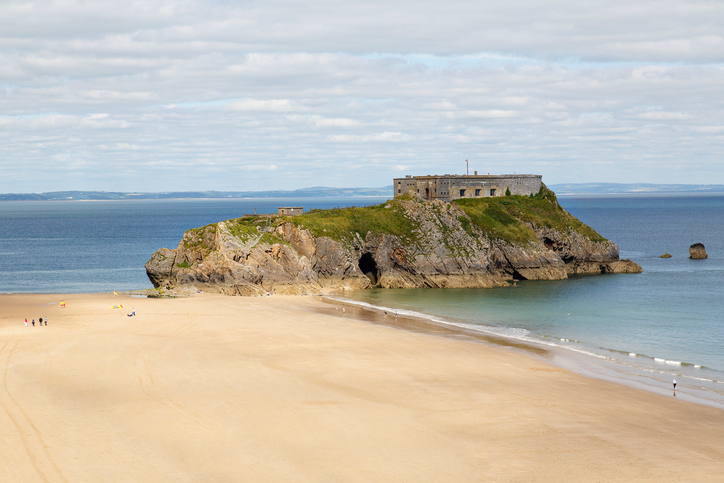 West Wales’s Pembrokeshire is another natural gem which is much revered for its fantastic coastline. Ideal for walkers, beachcombers and outdoor adventurers, Pembrokeshire lends itself well to family holidays. Adventurers enjoy adrenaline-packed action like kayaking, surfing, climbing and diving, while beachcombers enjoy the rocky and sandy coves, and splashing about in the rock pools, while everyone enjoys the local food. For kids and kids at heart, there’s an abundance of adventure/theme parks, boat trips and castles. 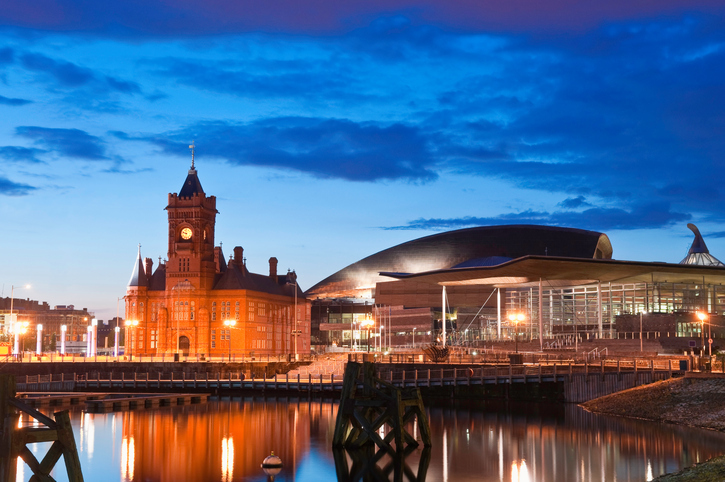 The Welsh capital is packed with busy pubs, restaurants and fantastic cultural attractions. Don’t miss Cardiff Castle and its blend of medieval and Victorian Gothic styles and the nearby Bute Gardens, both of which were donated to the city in 1947. The Cardiff Bay area offers plenty of shopping and a few brilliant attractions including the Pierhead heritage centre and the Millennium Centre. Art and history buffs will love the National Museum which is widely regarded as one of the best in the UK and features works from Monet, Van Gogh and L.S. Lowry among others. Sports fans will be well aware that Wales and rugby go hand in hand, and a visit to Cardiff’s Principality Stadium (formerly the Millenium Stadium) on an international match day is a treat. If not, a guided tour is a great way to get a feel for the atmosphere. North Wales’s striking 13th century Conwy Castle commands an impressive position upon a solid rock overlooking the Conwy Estuary with the Snowdonia peaks behind it. It was one of several key fortresses of its time known as the “iron ring”. South Wales’s Chepstow Castle was built just after the Battle of Hastings in 1066 and was the first stone castle ever built in Britain. Today it features life-size models of its former rulers and their people. 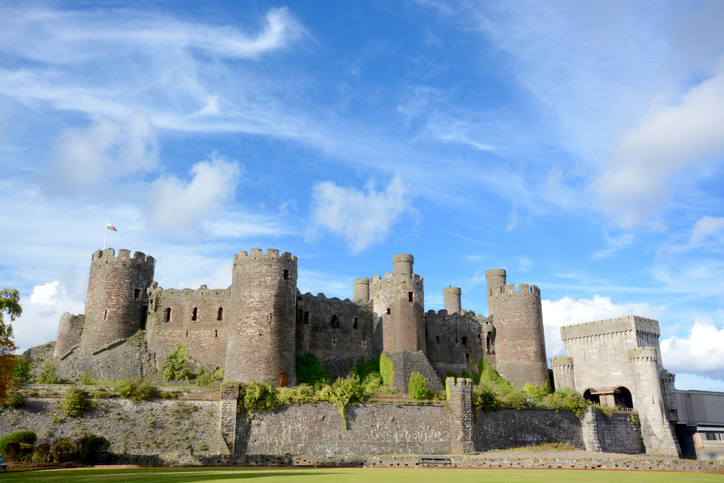 Home to the earls of Pembroke for over 300 years, Pembroke Castle was also the birthplace of King Henry VII. It became a fort in 1093 but most of the remaining buildings date back to the 13th century. Walk the walls and passages running from tower to tower, and take a look at the exhibitions detailing the castle’s history.